Thrombolysis is of net benefit in patients with acute ischaemic stroke, who are younger than 80 years of age and are treated within 4·5 h of onset. The third International Stroke Trial (IST-3) sought to determine whether a wider range of patients might benefit up to 6 h from stroke onset. In this international, multicentre, randomised, open-treatment trial, patients were allocated to 0·9 mg/kg intravenous recombinant tissue plasminogen activator (rt-PA) or to control. The primary analysis was of the proportion of patients alive and independent, as defined by an Oxford Handicap Score (OHS) of 0—2 at 6 months. The study is registered, ISRCTN25765518. 3035 patients were enrolled by 156 hospitals in 12 countries. All of these patients were included in the analyses (1515 in the rt-PA group vs 1520 in the control group), of whom 1617 (53%) were older than 80 years of age. At 6 months, 554 (37%) patients in the rt-PA group versus 534 (35%) in the control group were alive and independent (OHS 0—2; adjusted odds ratio [OR] 1·13, 95% CI 0·95—1·35, p=0·181; a non-significant absolute increase of 14/1000, 95% CI −20 to 48). An ordinal analysis showed a significant shift in OHS scores; common OR 1·27 (95% CI 1·10—1·47, p=0·001). 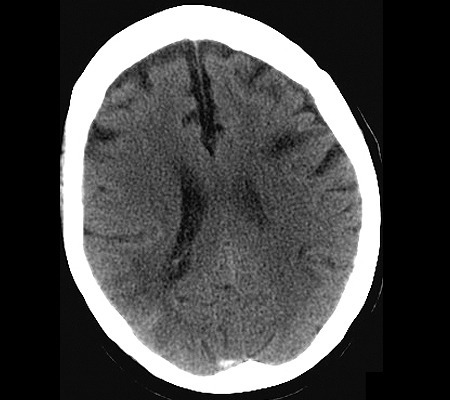 Fatal or non-fatal symptomatic intracranial haemorrhage within 7 days occurred in 104 (7%) patients in the rt-PA group versus 16 (1%) in the control group (adjusted OR 6·94, 95% CI 4·07—11·8; absolute excess 58/1000, 95% CI 44—72). More deaths occurred within 7 days in the rt-PA group (163 [11%]) than in the control group (107 [7%], adjusted OR 1·60, 95% CI 1·22—2·08, p=0·001; absolute increase 37/1000, 95% CI 17—57), but between 7 days and 6 months there were fewer deaths in the rt-PA group than in the control group, so that by 6 months, similar numbers, in total, had died (408 [27%] in the rt-PA group vs 407 [27%] in the control group). For the types of patient recruited in IST-3, despite the early hazards, thrombolysis within 6 h improved functional outcome. Benefit did not seem to be diminished in elderly patients. So what did we think? Well, a lot of colleagues had already raised questions about it (@DrGDH has an excellent article on his blog here). It was very interesting to chew the fat over this paper for an hour. Statistical gimmickry, ordinal analyses, logistic regression and a triple reducing power calculation aside, let’s look at the headline stats. An 4% Absolute risk increase of death in the T’lysis group within the first 7 days. An overall mortality rate of 27% in both control and T’lysis groups at 6/12. Thus, we can take things back to basics……let’s think through an example of how this might work in practice. What if 100 people aged 50-80 with varying severities of stroke present to my emergency department with a time onset of anywhere between 0 and 5 hours. I thrombolyse 50 of them. The others get standard care. In the Thrombolysed group, 2 of the 50 will be dead within a week. 1 more than the control arm will be alive and relatively independent at 6 months. In both groups, about 13-14 will be dead in 6/12 regardless. Any dissenters??? Who is up for it based on face validity and the possibility of type 2 error in this trial? Who has a golden anecdotal story? Who thinks the benefits outweigh the risks of being a wheelchair bound dysphagic dependent? Time for a serious contemplation of why we invest so heavily in therapies that have such potential to harm.